There's kale and mango in this smoothie, but so much more. Kale, mango, avocado, cucumber, raspberry and hemp protein powder. It had a slightly leafy flavour, but it was fruity too. I enjoyed it, but Cooper wasn't so keen. In the end, I poured his smoothie back in my blender and whizzed it up with a spoonful of cacao and a splosh of milk. He guzzled it down. I suppose I still got the good stuff in him as cacao is supposed to be super healthy. After our holiday I was desperate to get back to my blender and smoothies. I had total withdrawal symptoms while I was away. I was desperate for a green smoothie, but I knew if I bought one in a shop it would be full of sugar and all sorts of nasties. I think I may take my blender with me next time we have a break in the UK. After all hotels always have a kettle in the bedrooms, so I just need to take a small jar of washing up liquid with me. 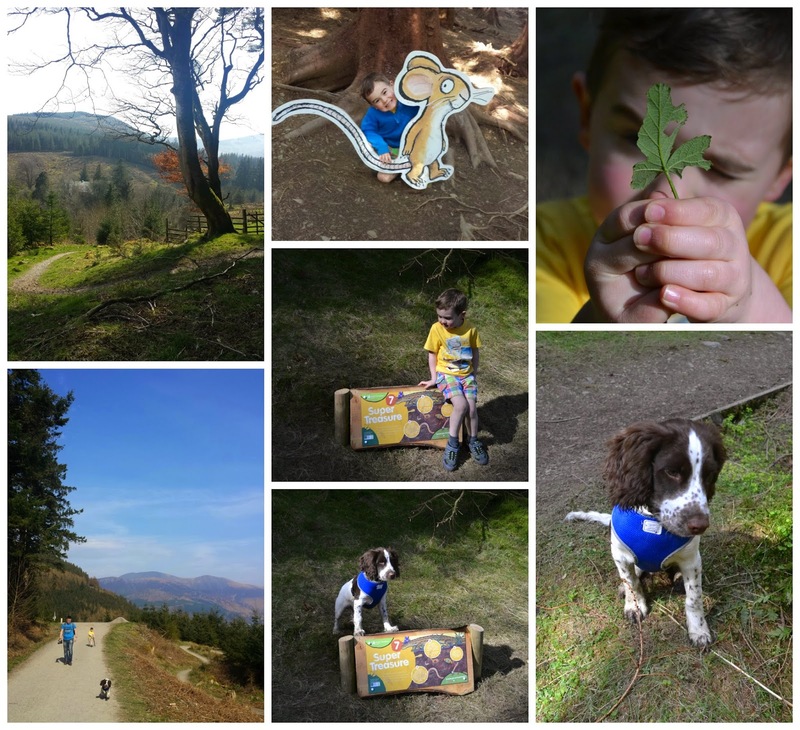 We were down in the Lake District last week and took the mad puppy with us. We had such fun. The weather was glorious, so we walked and walked and walked. We stayed in the Greyhound Hotel in Shap. The rooms were basic, but clean and I have to give them extra points for the the super comfy beds. The staff were really friendly too and couldn't have done more for us. 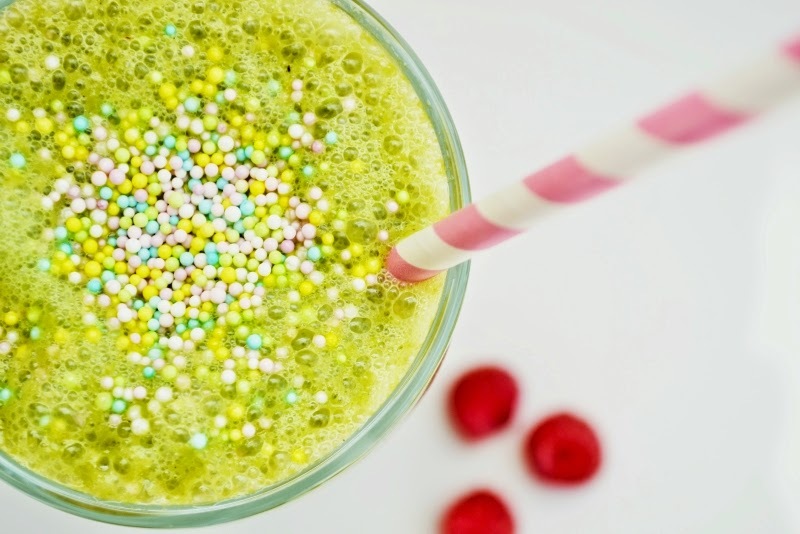 A leafy, but fruity green smoothie that's super healthy. 1. Remove the flesh from the avocado and mango, discarding the stones and skin. 2. 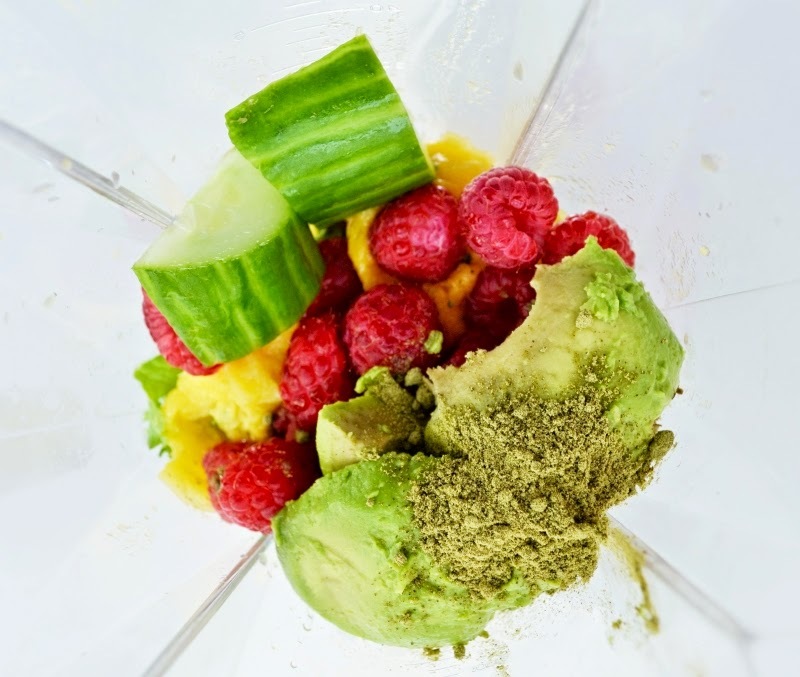 Add all the ingredients to a blender. 3. Add ice. (only add ice if you have a power blender like mine, if you have a less powerful blender, there is a good chance the ice will burn out the motor. 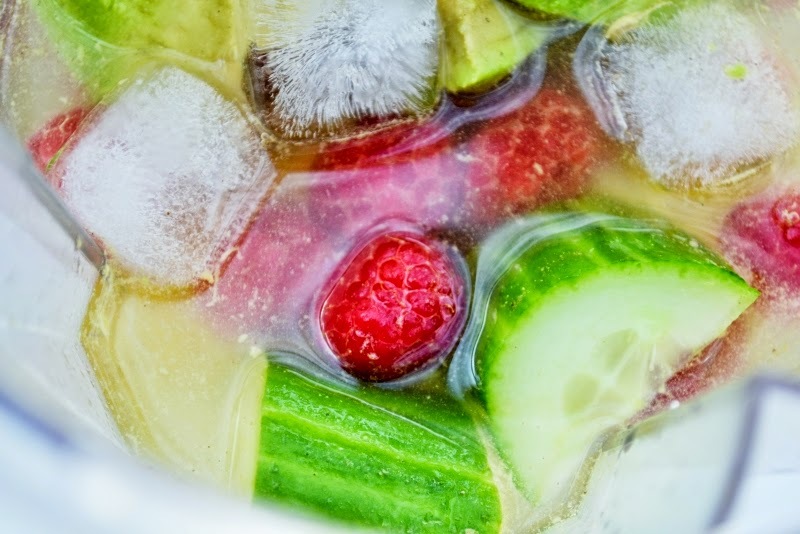 Just add the ice to your glass instead). 4. Top with water until the jug is half full. Enough for 4 large glasses of smoothie. 5. Whizz until smooth. 6. Enjoy!! It does make the lovely and creamy. I just love avocado. The hemp isn't overly strong. I only add a heaped tsp to a jug of smoothie. Alphonso mango season is coming nearer - good reminder to ring the changes with my smoothie mixtures. Your springer is so cute. Thanks he is, but he is also an over-excited loon! This sounds amazing! I need to get more creative with my smoothies, they're nowhere near as inventive as this! Thanks Becca, I do like my smoothies! It's just that wee extra boost. It all helps. I have never actually tried hemp powder. What is it like? When i go on holiday in the UK we have to go with our own knives as I can bear blunt knives you get in the accommodation. We were in a hotel so just ate out Bintu, but yes if you are in self catering it definitely is an idea to take along a few bits and pieces with you. This looks like a healthy fun smoothie , I love the vibrant colour. Sounds like a delightful green smoothie combo Jac, and lovely pre-zapped colours! I know the colours were gorgeous then it turns into a bit of a sludge grey. Thanks Joanne, you can beat sprinkles, they cheer anything up! Oh the Lake District, how wonderful. But then Scotland is pretty wonderful too. That smoothie looks super fun - I've not tried cucumber before. So much still to discover. Hooray for Froothie. I put cucumber in a lot, it gives a lovely fresh taste. They are worth getting into Lucy. Looks lovely Jac - very healthy! Haven't used kale in any of my smoothies yet, but I love it in my salads.